Rather than let Beijing dictate terms in bilateral interactions, Washington should proactively and consistently promote its own ideas and phrasing. Describing the United States and China as strategic stakeholders that should pursue competitive coexistence realistically is a good place to start. These examples of Beijing’s recalibration following pushback indicate opportunities for American “counter-pressure” to deter negative Chinese actions. The United States should also prepare cost imposition options to punish bad behavior. When Beijing does respond, it does not automatically do so aggressively or escalate. Despite complaining, it continues to tolerate U.S. Freedom of Navigation Operations (FONOPs), military surveys in its claimed Exclusive Economic Zone (EEZ), and Taiwan Strait transits. American officials must be willing to walk away from engagements that China values more than does the United States. There are multiple engagements which the PLA prioritizes highly, for instance, that yield little for the United States. Washington can, and should, accept—and in some cases insert—friction by denying these engagements. This is particularly the case when engagements the United States values highly, such as Military Maritime Consultative Agreement talks and Joint Staff Dialogue Mechanism meetings, are held hostage by the PLA. American officials must also talk openly when they publicly seek engagement but are rebuffed by Chinese counterparts. When China pulls out of a constructive dialogue, for example, Washington should issue a public statement explaining what happened to make sure the region knows that it is China, not the United States, which has withdrawn from valuable conversations. U.S. citizens also need to be aware of the threat posed by harmful Chinese actions. As the United States and China enter a period of more open competition, the American public will need to be on board. U.S.-China relations are not a zero-sum game. Competitive coexistence both rejects ready agreement on disputed issues (unrealistic) and an inevitable drift to war (similarly unlikely given overwhelming costs and considerable shared interests). 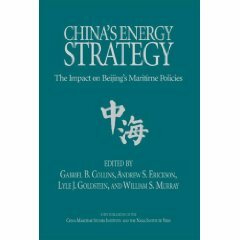 In its latest report on China’s military power, the Pentagon emphasizes that “strategic competition does not mean conflict is inevitable, nor does it preclude cooperation on areas of mutual interest.” Even while differing in important areas, the United States and China maintain tremendous economic, cultural, and societal interaction. As strategic stakeholders, they share mutual interests in humanitarian assistance and disaster relief, anti-piracy, counter-terrorism, and nuclear nonproliferation. This extensive interaction and overlapping interests distinguish U.S.-China competition from U.S.-Soviet Cold War rivalry in important respects. To the extent that Beijing proves willing, Washington will cooperate to reduce tensions, pursue shared interests, and achieve mutually-beneficial outcomes. In areas where China’s behavior supports American interests, the United States stands ready and willing to cooperate. However, it takes two to tango: genuine reciprocity is essential to managing bilateral relations and pursuing collaborative achievements. Washington will not court Beijing as a desperate “ardent suitor” who appears to want cooperation more quickly, deeply, or worriedly. It will not yield unilaterally to Chinese pressure or assume disproportionate responsibility for limiting friction and escalation. And it will not accept arrangements in which China consistently contributes, and makes adjustments, to a lesser degree. Progress will hinge on both sides’ willingness and ability to contribute commensurately. With China having declared its arrival as a great power and seeking influence accordingly, the United States will not accommodate it selectively as a superpower in some contexts and a developing country in others. As invoked by none other than Xi himself to pressure U.S. counterparts, as well as by influential Chinese public intellectuals to call for American concessions, the idea of the imperative to avoid a “Thucydides Trap” represents a misapplication of history. It falsely implies that only by taking drastic measures can the United States and China avoid previous patterns of ruinous war between an established power and a rising power. Instead, the evolution of nuclear weapons, international institutions, globalization, financial markets, and transnational production chains have made the world a very different place than it was just over a century ago in 1914 when the Great War erupted. This has also changed the dynamics of great-power rivalry, from highly battle-prone to continuous competition that complicates historical definitions of peace and war. As the latest National Security Strategy correctly emphasizes, while many American observers see today’s situation as one of peace, Chinese strategists typically see more complexity. In the Near Seas, China engages in assertive “War without Gun Smoke” (gray-zone operations) to erode the status quo . Today Washington and Beijing certainly face friction, tensions, and even the possibility of future crises of some severity. Yet both significant shared interests and collective reliance on a dynamic international system, together with mutual deterrence, can enable them to avoid war. Both sides are restrained by these strong positive and negative incentives; it is not necessary for Washington to shoulder the burden of restraint alone. American policymakers must thus consistently avoid embracing flawed historical analogies that encourage unrealistic Chinese expectations of inequitable accommodation. To set the right tone and expectations while safeguarding American interests, U.S. officials must likewise continue to reject the Chinese policy bumper sticker that flows from falling for the “Thucydides Trap.” Beijing originated and promoted the concept of “New-Type Great Power Relations” and its variants (including “New-Type Major Country Relations” and subordinate concepts such as “new-type Navy-to-Navy relations”) to imply that Washington must yield to China’s self-declared “core interests” (including in the Near Seas) while not committing Beijing to corresponding accommodation in return. Beijing has also attempted to use this flawed model to promote Sino-American management of international affairs while excluding and subordinating key U.S. allies such as Japan and South Korea. In sum, tracking Chinese policy approaches and slogans as they emerge and evolve can help American officials anticipate loaded phrasing and avoid further traps as Beijing sets them. Circumventing pitfalls is not enough. U.S. officials must assertively articulate American concepts and policies to achieve a public framing for bilateral relations that is separate from Beijing’s. This will further help to avoid having Chinese interlocutors driving interactions and policy conversations in a direction that could undermine American interests. Certainly, each side is free to employ its own concepts and rhetoric. But, at a minimum, the policy formulations that U.S. officials themselves embrace should at least meet the standard of the Hippocratic Oath of international relations: “first, do no harm.” That typically means using their own American wording unless there is a compelling reason to do otherwise. The bottom line: Beijing won’t do Washington’s homework—the United States must safeguard its own interests throughout the course of U.S.-China relations. Rather than let Beijing dictate terms in bilateral interactions, Washington should proactively and consistently promote its own ideas and phrasing. Describing the United States and China as strategic stakeholders that should pursue competitive coexistence realistically is a good place to start. Author’s note: The term “competitive coexistence” has been used to characterize relationships in biology, relations between the United States and the Soviet Union during the Cold War, and China’s relations with other great powers today. 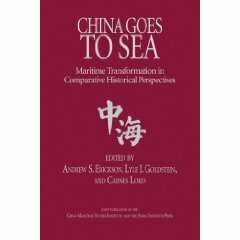 Since 2007, the author has been consistently using “competitive coexistence” to describe a possible state for U.S.-China relations. Examples from among the two dozen instances are available here, here, here, here, here, here, here, here, here, and here. Leading Sinologist David Shambaugh has also used “competitive coexistence” to describe U.S.-China relations. Indo-Pacific security experts Rory Medcalf and Ashley Townshend have used the term to describe Sino-Indian relations. 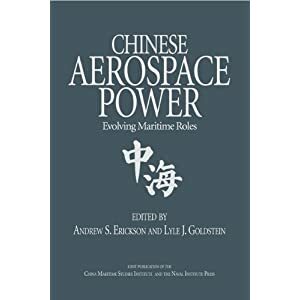 Dr. Andrew S. Erickson is a professor of strategy in the China Maritime Studies Institute and the recipient of the inaugural Civilian Faculty Research Excellence Award at the Naval War College. He serves on the Naval War College Review’s Editorial Board and is an associate in research at Harvard University’s John King Fairbank Center for Chinese Studies. In 2013, while deployed in the Pacific as a Regional Security Education Program scholar aboard USS Nimitz, he delivered twenty-five hours of presentations. 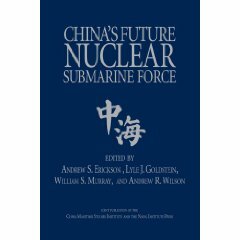 Erickson is the author of Chinese Anti-Ship Ballistic Missile Development (Jamestown Foundation/Brookings Institution Press, 2013). He received his Ph.D. from Princeton University and blogs at www.andrewerickson.com. A more complete set of examples of Prof. Erickson’s using “competitive coexistence” conceptually to describe a possible state for U.S.-China relations is available here, here, here, here, here, here, here, here, here, here, here, here, here, here, here, here, here, here, here, here, here, here, here, and here.